Living… through the early stages of puberty. Not quite the manliest man in Langley Falls, Virginia, the 15-year-old Steve has been waiting for his voice to drop a couple octaves for years. Hopefully the time has finally come. Profession… high school freshman. Steve and his friends Snot, Barry, and Toshi have begun to confront high school’s harsh realities. Despite their academic qualifications, they’re not quite the slickest dudes at Pearl Bailey High. Interests… playingDungeons and Dragons, Star Trek, singing and dancing, and pregnant Asian women. Relationship Status… single. An aspiring ladies’ man, Steve sees himself as the coolest guy in school. He can speak fluent Elvish and divide fractions in his head – what other young man has such seductive talents? He can’t seem to figure out why he’s still a virgin. Challenge… living in the shadow of his domineering father. 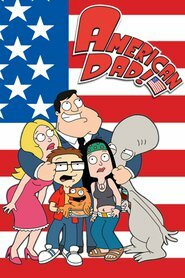 Stan Smith, a CIA agent, is constantly trying to coach Steve on the art of chauvinistic machismo. But Steve would rather just stay indoors and play video games than try out for the football team. Steve’s fondness for breaking into song and dance also do little to endear him to Stan. Personality… geeky, desperate, endearing, and sensitive. Steve’s mother, Francine, coddles him a bit. He’s desperate to grow up and become a real man (like his father wants him to be), but his protective mother will do anything to keep him childlike and nerdy. Steve Smith's popularity ranking on CharacTour is #1787 out of 5,000+ characters. See our top-ranked characters and read their profiles.